What is a yumberry?!?! Looks a little bit like a raspberry with a sweet-sour flavor and is filled with vitamins, minerals and powerful antioxidants. 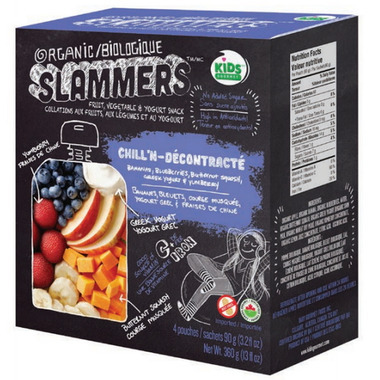 Organic Slammers Chill'N Fruit, Vegetable & Yogurt Snack is made with bananas, blueberries, butternut squash, greek yogurt and yumberry. 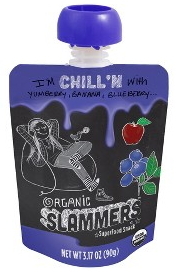 Ingredients: Organic apple, organic banana, organic blueberry, water, organic butternut squash, organic Greek yogurt (organic skim will, organic nonfat dry milk), organic yumberry concentrate, organic lemon juice concentrate, citric acid, ascorbic acid. My two year old loves snacking on these and I love that theyâ€™re organic and lower in sugar than most brands. Great for in the go. My 3 year old loves these. Price is fair. I like how high they are in iron and not super high in sugar, unlike a lot of other fruit squeeze pouches. My daughter loves these! A great snack option for on the go. great new flavor, not bland, new variety compared to choices in walmart and superstore etc. 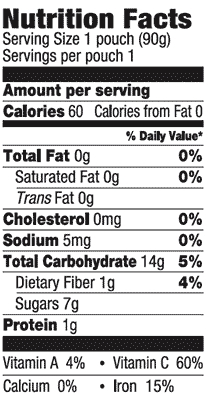 This is a good snack for kids and for adults. I love it.